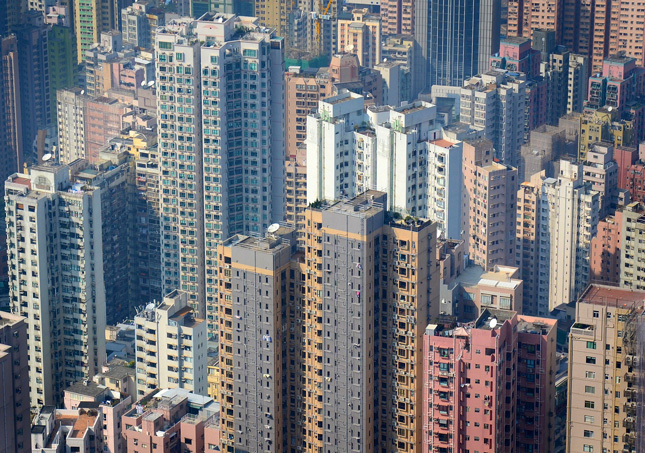 ﻿ Are We Keeping up With Asia’s Urbanization? While cities have historically been the epicenter of development and economic growth, there is no guarantee that tomorrow’s Asian cities will thrive unless opportunities are seized now by local practitioners. Cities must plan for their future now, rather than wait until they emerge or expand. Hands down, participants made the case that better planning now beats costly retrofitting later. Selling this to cash-strapped local governments, though, is not for the faint of heart. Alongside urbanization is a growing and mostly underappreciated aging trend in some parts of Asia. Across the continent, 60 percent of people are living 60 years or longer, compared to just 25 percent globally. An aging population is already creating enormous pressures on infrastructure, housing, jobs, energy, transport, health and education. The needs of a greying population shouldn’t be ignored by today’s urban planners. Building Asian cities without taking into account weather and climate change patterns – along with other urban shocks and stresses – will undercut long-term prosperity and security. Nine of the top 10 most at-risk countries in terms of flooding, for example, are in Asia. Cities unprepared for climate change and other non-avoidable shocks and stresses place their citizens at extraordinarily high risk. Resilience, the ability to build back stronger following a natural disaster, must become central to Asian urban planning. As cities become larger, populations and productive assets become more concentrated, and risk exposure rises dramatically. Worse yet, the most risk-prone sections of cities are often settled by those with the least capacity to rebuild. Local institutions are key to addressing the challenges posed by urbanization and climate change. Only a relatively small number of Asian cities are able to plan, finance, coordinate, and develop resilience strategies because the people and skills needed are in short supply. Local organizations have an opportunity to link people, governance, and the latest innovations while sharing practical knowledge and experience. Such a linking role is critical in that it helps attune urban strategies to the social realities of local communities. Having a shared vision among all stakeholders is essential, but rarely achieved. Who Will Feed the Cities? Rural and urban areas have long had a symbiotic relationship in Asia, but the future of farming, the preservation of rural and natural ecosystems, and other reciprocal rural-urban relationships have not received adequate attention in recent years. Rural-to-urban migration is creating enormous economic, environmental, and social upheaval in the countryside. In most Asian countries, land reform has been slow and land fragmentation remains high. The future of traditional farming is uncertain. Slums have existed since the dawn of cities, but the speed of their recent growth in Asia is exceptional. 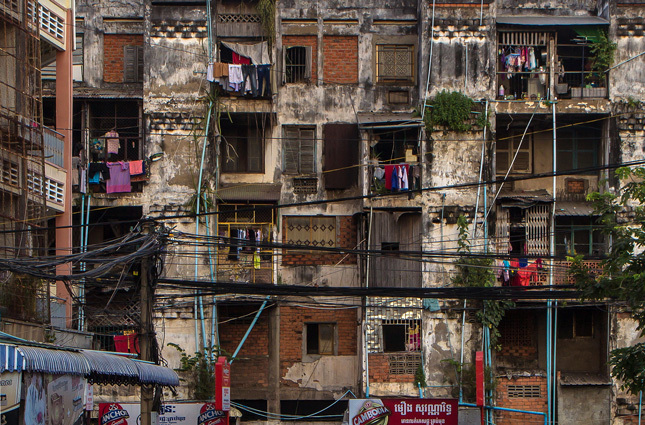 Asia is now estimated to be home to more than 500 million slum-dwellers. Low incomes, affordable housing shortfalls, high-priced goods, and recurring rural migration, along with high concentrations of marginalized people, are all contributing factors to slum growth. Steps need to be taken now by municipal leaders to bring basic services across all sectors to the urban poor. Solutions to reduce urban slums must address land tenure and access, governance, and community infrastructure in particular. A New Urban Era in the Making? Never before has there been such an array of tools and approaches available to tackle urban challenges. Scenario planning and the analysis of real-time data from remote sensors and cell phones is uncovering novel patterns that can help cities deal with traffic congestion, access clean water, prepare for natural disasters, and remedy intermittent electricity shortfalls. Rapid adoption of mobile devices, social media, and other technological innovations can bring about systemic change in governance at many levels. In principle, such technologies can empower even the smallest communities to swiftly communicate their needs to governments and better hold officials accountable. These tools also present attractive incentives for governments by enabling scarce urban resources to be focused where they are needed most. However, the ability to garner citizen input does not mean such feedback will be utilized. Uptake has been slow and uneven. The potential of these technologies still needs to be harnessed in reality. Working with the private sector to categorize and estimate major urban risks also shows promise. Innovative insurance schemes are providing cities with cost-effective ways to cope with the financial impacts of climate change events by improving risk estimation and spreading risk among the public and private sector. The workshop revealed that despite the many tools available, greater attention is still needed to address underlying issues such as institutional capacity, governance, accountability, and local decision-making. Such attention is critical, for while the dynamics of Asian urbanization are constantly changing, urbanization and future economic growth are clearly and inextricably linked. A number of well-established consortia and foundations are already working productively with Asian cities to help develop and implement climate change resilience strategies, strengthen governance, and take the longer view. And, a surprising number of cities are successfully undertaking efforts on their own. Yet too many Asian cities are still not using core best practices and many others remain focused simply on today’s urban challenges without examining such trends as population aging, growing inequality, and land-use development. Steven Gale was one of the workshop’s organizers and is a senior advisor for strategic opportunities at the U.S. Agency for International Development. He is currently serving a one-year appointment to the National Intelligence Council. The views expressed are those of the author, not USAID or the NIC. Sources: Cities, Climate Central, UN Economic and Social Commission for Asia and the Pacific. Great snapshot of 2 days of really important conversations. We need to more proactively plan for a radically different future than we may be expecting. A timely reminder of the importance of using the future to create engagement and innovation. Workshops like this one reveal and empower, critical ingredients for resilience. Urbanization is an issue of pressing importance, and one way or another, the global community’s response to the phenomenon of urbanization will have profound implications. Urbanization can be harnessed drive forward progress on economic growth, health, education, and social inclusion. Mismanaged, mass urbanization can undermine municipal systems, increase fragility, and present radical challenges in terms of water, food, and energy resources. I’ve written on this topic several times, and I’m convinced we have the capacity to get this right. We need more more leaders pushing to make sure we capitalize on the opportunities urbanization presents rather than stumble upon its challenges. Thanks, Steve, for taking up the torch.